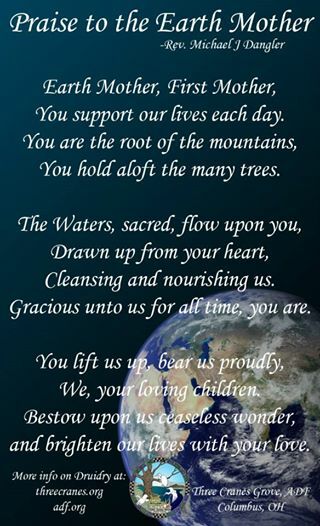 The Earth Mother is probably the most obviously Neopagan part of the ADF liturgy, but She is an extremely significant part of Druidic culture and worship. While there are people who see Her as a thought-form, a goddess, an ecological organism, a local body of water, and an archetype (or some combination of the above) (Newburg), She typically takes the first and last offerings in ADF’s liturgy and is given the respect of the eternal All Mother from whom we all emerge and to whom we all return. This is not to say that there is no historical present for an Earth Mother figure (and, in fact, Tacitus calls Nerthus the Earth Mother to the Germans, and Gaia can serve in the role of Earth Mother to the Greeks), but that her role and primacy in ADF ritual is more reminiscent of modern than ancient worship. This element of our rituals helps ground the ecological and naturalistic currents in ADF’s population, and the presence of the Earth Mother places ADF squarely among the other Neopagan traditions with Earth/Environmentalism as the center of their worship, though ADF also worships more historically based god/esses (Newburg) and often participates in more historically flavored (if not actually derived) practices. 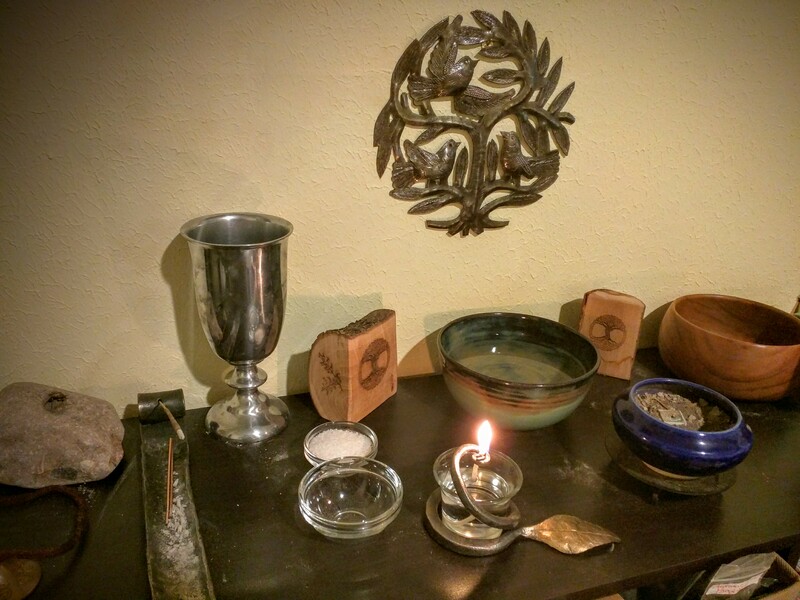 This weekend at the Imbolc retreat, I learned a new prayer. It’s apparently quite an old prayer. 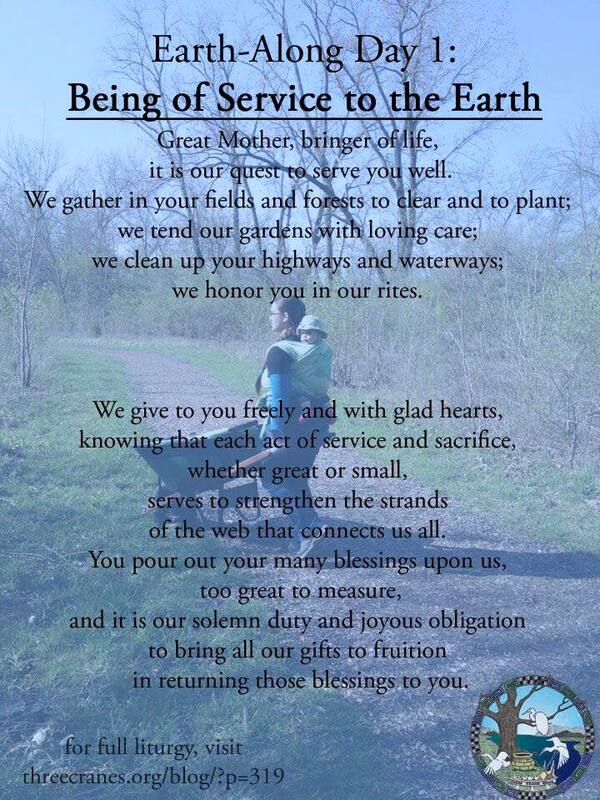 OBOD Druid John Beckett spoke it during one of our rituals as the call to Inspiration, and it spoke to me. And in the love of all existences, the love of the Earth our mother, and all goodness.